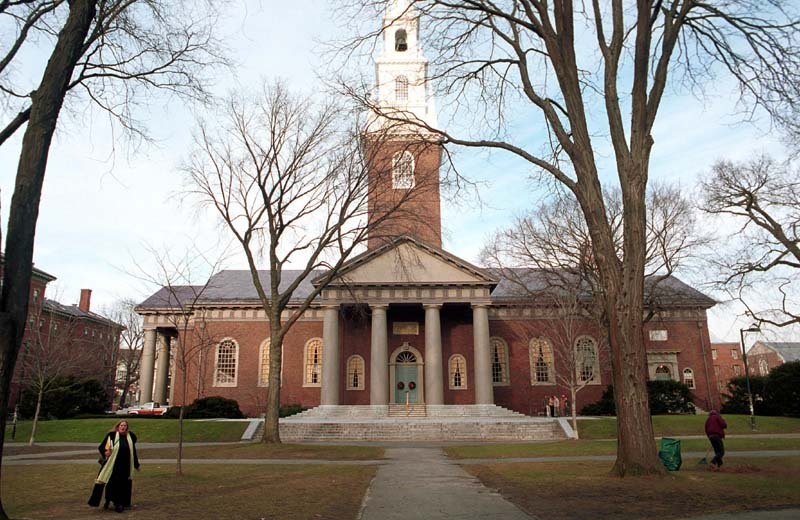 Video showed police allegedly punching a Harvard student during an arrest. People are pictured walking around the school's main campus December 19, 2000 in Cambridge, Massachusetts. Police in Massachusetts on Monday released footage showing the arrest of a black Harvard student near an intersection on Friday. The incident, caught on video by witnesses, allegedly featured an officer repeatedly punching the individual, which prompted the department to conduct an internal investigation. Officers from the Cambridge Police Department (CPD) said they responded to a call just after 9 p.m. from a woman alleging that a man had tossed clothes in her face. Authorities said they received approximately six other calls detailing the same suspect, reported WBZ-TV, a CBS affiliate in Boston. Police said they found the man, identified as Selorm Ohene, 21, of Cambridge, standing near a traffic signal without clothes on. A woman police believed to be a friend of Ohene told them he had ingested a hallucinogenic drug that night. After several attempts to communicate, the student became hostile, authorities said. A police report later confirmed that the man was punched five times. "Numerous attempts were made by the officers to calm down the male, but they were met with opposition and hostility," Commissioner Branville Bard said during a press conference. "Once on the ground, the male continued to resist arrest. Three officers from the Cambridge Police Department and another officer from the Transit Police Department were required to gain compliance with the male." Because of the use of force shown in the clip, the CPD announced its leadership department and Professional Standards Unit was conducting an internal review, which is standard practice in such cases. Police charged Ohene with indecent exposure, disorderly conduct, resisting arrest, assault and assault and battery on ambulance personnel after police said he spat a saliva and blood mixture at an EMT. Meanwhile, video of the arrest sparked backlash throughout the university, including the Harvard Black Law Students Association, some of whom who were eyewitnesses. The organization, in a letter to the department Saturday, called the incident an act of police brutality. "The conduct of the CPD on the evening of April 13, 2018, was unacceptable," the letter read. "We are reminded, as soon-to-be-graduates of an elite law school that we cannot protect our bodies with our degrees — and that is why we also call our current students and alumni to embrace these demands as inclusive to all Black people, not just Harvardians." Harvard University President Drew Faust, in a letter released by the school Monday, called the arrest "profoundly disturbing." "A Harvard student was in obvious distress, and we need to understand how that came to be and whether we could have interceded earlier and more effectively," she wrote. “We have been witness to the use of force against a member of our community, which, regardless of circumstances, is upsetting and compels the search for a deeper understanding."